Removals London Company is one of the top rated removal companies in UK, offering professional local and nationwide removals from London. Fixed prices. Removals London Company has been moving residents in the capital since 2004 and is now acknowledged as the leading service provider in town. Our cheerful, friendly staff have all been hand picked and trained in house in the art of moving anything and everything form anywhere to somewhere else. Whether it's just around the corner, across London or to any city in England Removals London Company can handle it. Whether you simply need to move a couple of armchairs or a whole houseful of furniture and belongings we have the right sized moving van london for the job. We can supply everything from a Small Van to a very large Luton so you don't pay for a van that is bigger than you need. We also have a lot of vans so we are completely flexible. If you need to move today Removals London Company can do it. If you prefer to pack your own belongings that's fine. We have plenty of tips for you on our website - just click on the Blog link above. 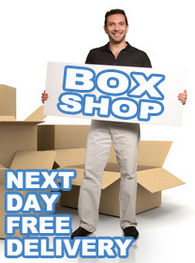 Removals London Company can also supply everything you need such as moving boxes UK London, bubble wrap and tape. Removals London Company can also help with deliveries and collections, house clearance, pallet deliveries and student removals. Our vans will arrive on time and be clean and equipped with sat nav, trolleys, blankets and straps to ensure the safety of your goods. For all your removal needs in London call Removals London Company now. Our friendly representative will answer all your questions and give you an immediate quote. Alternatively you can book online and claim your 5% discount. Our Prices Starting from £25 p/h and we accept major payment methods PayPal, Credit Card, Debit Card, Cash.